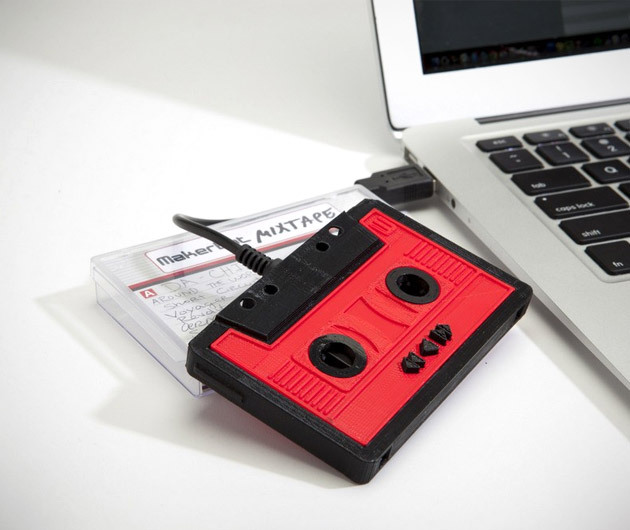 The MakerBot Mixtape offers a nice dose of nostalgia to this digital music age. MP3 capabilities wrapped within a funky case that looks just like an 80's cassette and without the reams of endless tape that always eventually clogged up your stereo. The inside memory card detaches and can be swapped with likeminded musical souls meaning that you can create your very own playlists to share with others - because nothing says I Love You like a mixed tape.